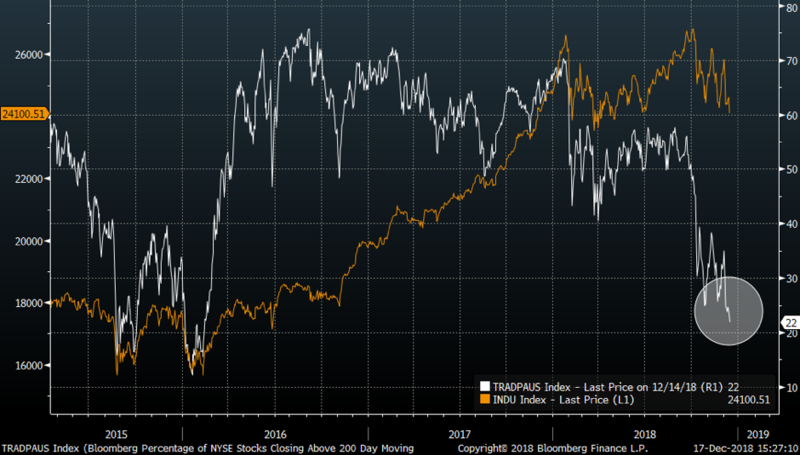 Whether you believe in the Dow theory (or other Technical charts) or not, is up to you, but note how the Transport index (orange) has collapsed lately, while the Dow (white), still, holds support levels. 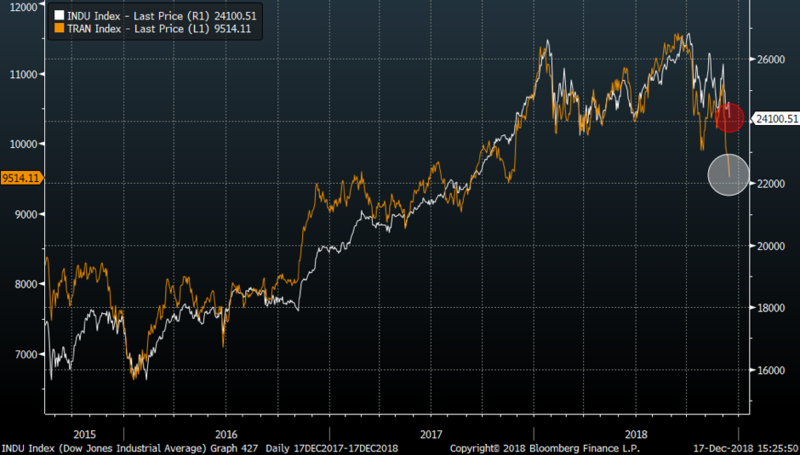 As we outlined in previous post, all US indices are at crossroads. We pointed out the below chart last week. White is the TRADPAUS index (white), showing percentage of stocks trading above the 200-day average. It has clearly collapsed lately and trades close to levels last seen in 2015 and 2016. Do note that on both those occasion in 2015/16, the Dow made a local low and ended up putting in rather furious bounces. Much is different today, but the TRADPAUS index is reaching somewhat extreme levels. If this is a contrarian long set up here, it surely is a very nervous one. Catching falling knives is usually a strategy that hurts, and despite several contrarian signals lining up on our global risk radar, we remain happy not catching the first knives yet. After all, the psychology of the crowd remains the same, despite us having advanced as humans. 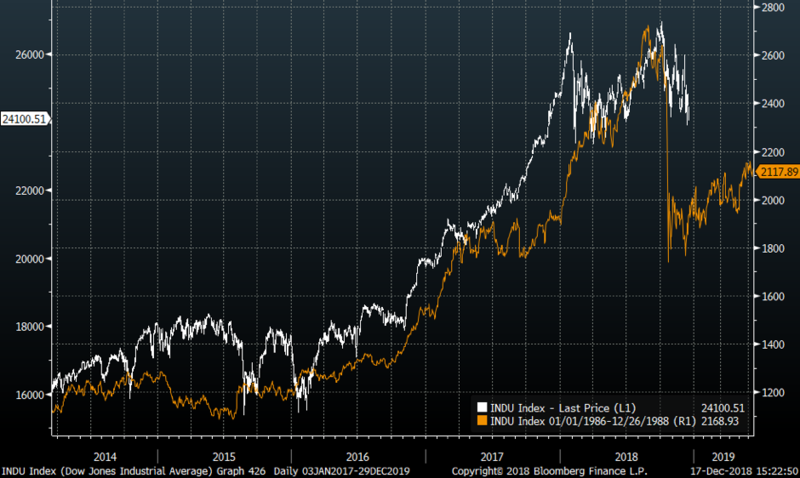 Below chart is showing the Dow now (white) overlaid versus the Dow leading up to the crash in 1987 (non-normalized chart). We are watching possible contrarian signal closely here, but remain humble.